Dogs may be man’s best friend, but a dog attack can happen anywhere and at any time by almost any dog. A dog attack is a traumatic experience and shouldn’t happen to anyone, but they do. 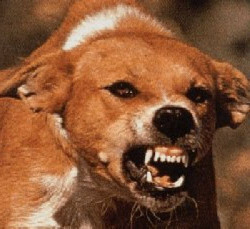 Approximately 4.5 million dog bites occur each year in the United States and of those, nearly 10,000 people are hospitalized as a result of a dog bite injury. 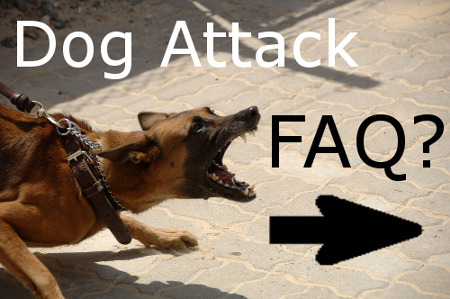 Dog attacks are capable of causing serious injuries. In addition to causing pain, nerve damage, punctures, infections, permanent scarring or disfigurement, dog bites can become infected, placing the bite victim at risk for illness or even death. In California, dog owners are strictly liable for the injuries caused by their dogs. This means a dog owner is liable even if they didn’t believe that their dog had the capacity to harm someone. According to the American Academy of Pediatrics, children are much more likely to suffer serious injuries when bitten by a dog. Children are most likely to suffer bites from dogs they know, or think they know. Some people erroneously believe that if a dog only bites once, that it’s okay. This is not true. A dog owner can be found “strictly liable” for injuries caused by his dog. California passed a statute that eliminated the “one-free bite” rule by holding a dog owner liable even if the dog has never bitten anyone or shown a tendency to bite. Sometimes dog owners attempt to plead innocence by stating their dog has never acted this was int the past, or their dog usually likes everyone. Claiming ignorance as a defense in this matter will likely fail and they will still be held liable for your injuries and losses. Sometimes dogs can cause injuries other than bites. These types of injuries are covered under California negligence law. One example would be injuries caused by a dog jumping on a person, knocking them down and causing this person to be injured. To prove negligence, tyour dog bite attorney must show that the dog’s owner failed to use reasonable care, and that the failure to use reasonable care caused the injury. Depending on the type of dog and the nature of the attack, in some situations, a dog’s owner might also face criminal charges as well as civil liability for a dog attack. After an attack by a dog, call 911 and see a doctor. If the injuries requires emergency medical care, paramedics should be called without delay. 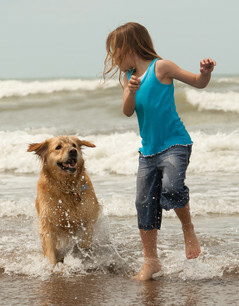 If you feel that you’ve suffered an injury from the dog attack, your first and foremost concern should be your health. Even if you might initially believe that the injury isn’t serious, remember that you may be in shock. The name and address of the dog owner. The name and address of any witnesses. Remember to take photographs of your injuries. Keep this information in a safe place. If you are using our Accident App, you can enter this information into the APP for future access, and for discussion with your dog bite attorney. After your dog bite accident, you need to focus all your energy on getting better. When you work with a personal injury attorney who compassionately and successfully handles dog attack cases, you can be helped to pursue a claim that puts your life back on track.